Amy McAlister, FNP, a native of Maryland, earned a Bachelors of Science in Nursing from the University of Delaware. After working as an RN in surgical intensive care, public health and home health, she completed a Masters of Science in Nursing from Georgia State University. 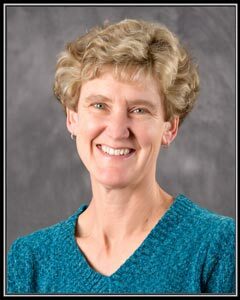 Mrs. McAlister has practiced as a Family Nurse Practitioner since 1989 and joined Garner Internal Medicine, P.A. in 2003. Residing in Apex with her husband and 4 children, Mrs. McAlister volunteers with her children's scout troops and the Wake Interfaith Hospitality Network serving homeless families in Raleigh. She enjoys gardening, yoga, reading and movies.